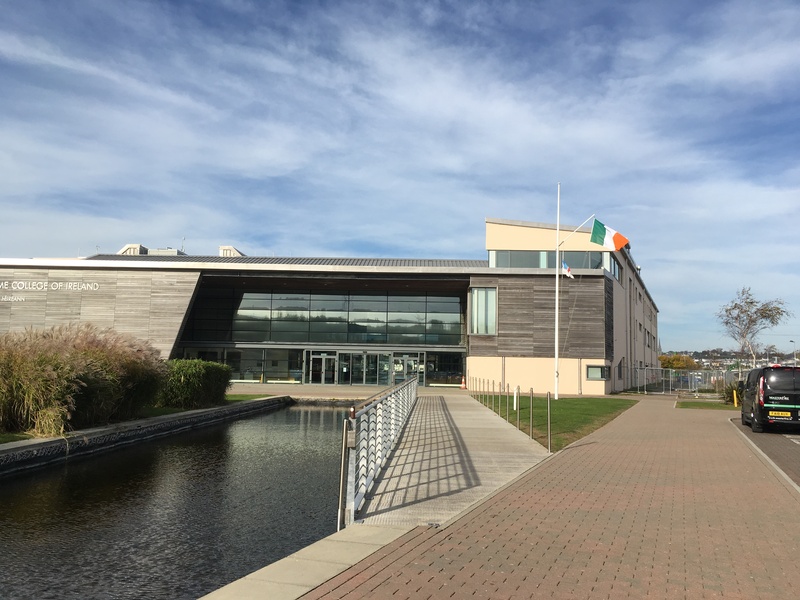 The National Maritime College of Ireland (NMCI) is located in Ringaskiddy, County Cork. It provides training and education for the Merchant Marine and the non-military needs of the Irish Naval Service. The local Church of Ireland rector, the Revd Elaine Murray, from Carrigaline Union of Parishes, is also the Church of Ireland Chaplain to the National Maritime College of Ireland. 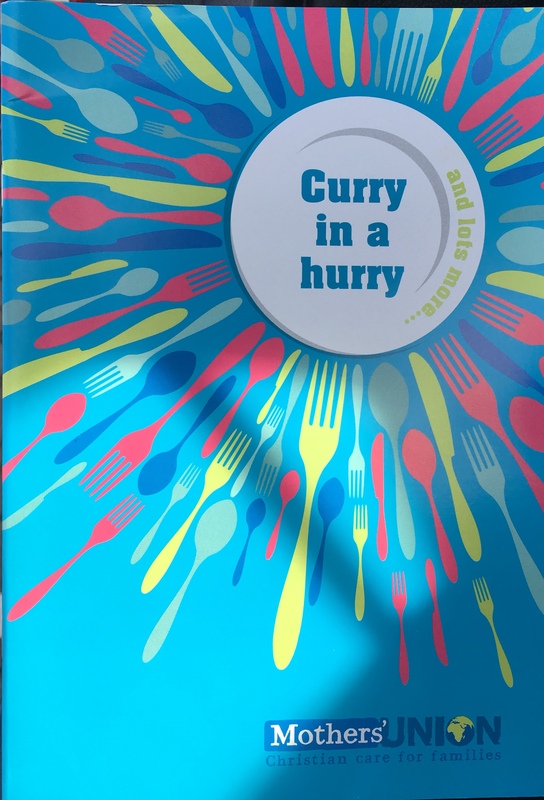 ‘Curry in a Hurry’ by the Mothers’ Union – just what every first year student away from home needs. 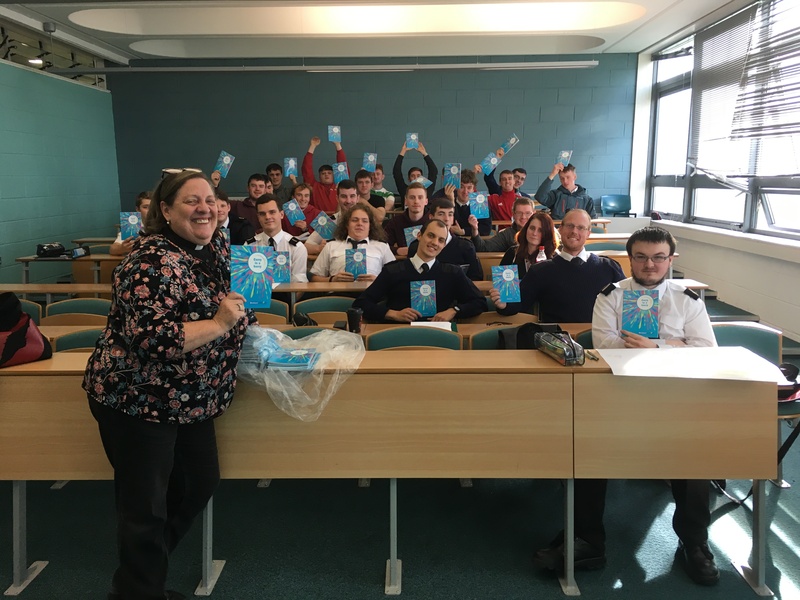 In that capacity Elaine recently dropped in for a visit and to deliver the ‘Curry in a Hurry’ books produced by the Mothers’ Union to all of the NMCI 1st year students. With this super little book they won’t have to rely on fast food and tins and will be cooking for themselves in no time. The Reverend Elaine Murray visits the first year students at the National Maritime College of Ireland. This entry was posted in Chaplaincies, Community Involvement, Education, Five Marks of Mission, Making Connections, People from Cork, Students. Bookmark the permalink.